I just finished a number of months of working with Makis Mourelatos on my WordPress website, and would like to comment on my positive experience. My website, which first went into service in 2008, was severely hacked and made totally inoperable in late 2013. 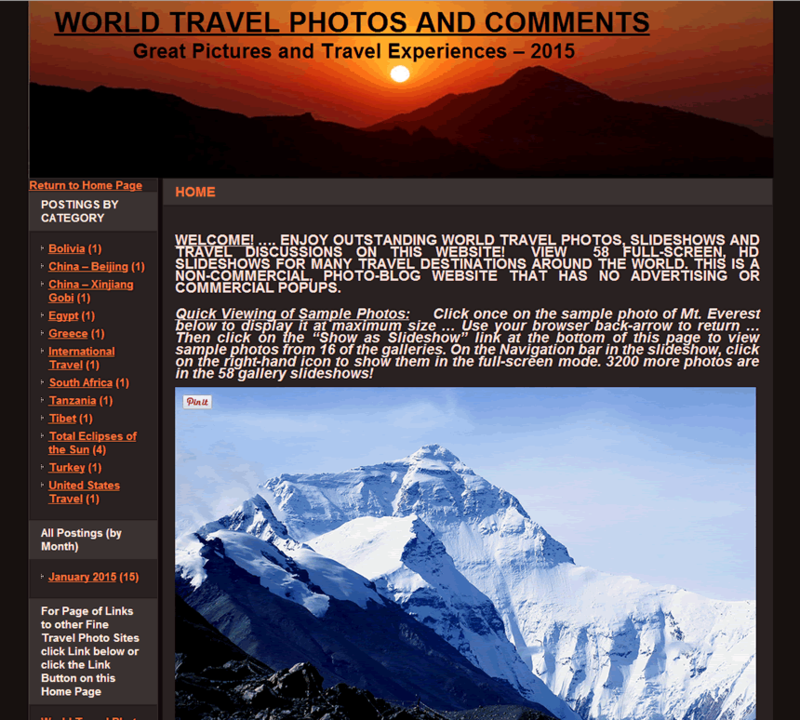 My website is a World Travel Photo Blog with currently 56 big photo slideshows. I initially could not find anyone who would attempt to restore it at a reasonable cost, so I let my website remain inoperable for months. Then I found Makis at FixmyWP on the internet, and was quoted a very reasonable price, particularly after some of the outrageous quotes I had received from other WP repair sites earlier. He not only totally repaired my website for a third of the cost of other quotes, but he implemented significant improvements in the 56 slideshow displays, great improvements in the security against hacking, upgraded my site to the latest version of WordPress and totally backed up my restored site to a Dropbox account that he suggested. My website is now functioning better than it ever did. See for yourself at …. 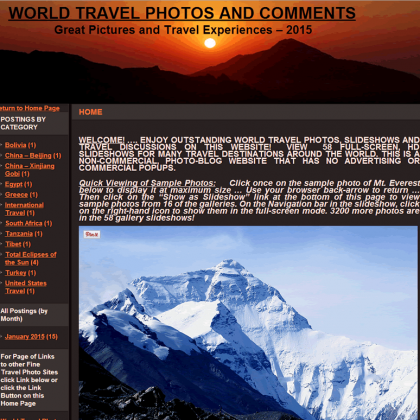 worldtravelreports.org. In the course of repairing my website over a few months, he patiently answered many emails from me asking all sorts of questions, many of which were typical silly questions from a customer who is no expert on WordPress. Take my word, he is a great, knowledgeable guy to work with on your website repair, and I commend him for cordially putting up with me. I recommend him and his repair company without reservation.